An ideal guide to building your personality by altering your habitsIt is rightly said that habits make or break a man. If you want to know why you are not doing something right, sometimes all you need is to perform an analysis of your habits and consider altering them. Because sometimes it's not about what you do, but more about how you do it! And that's where your habits play a very important role. 'The 7 habits of Highly Effective People'is a book that aims at providing its readers with the importance of character ethics and personality ethics. 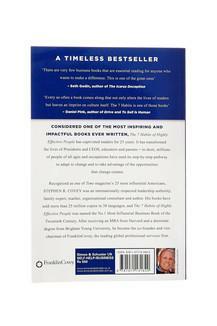 The author talks about the values of integrity, courage, a sense of justice and most importantly, honesty. 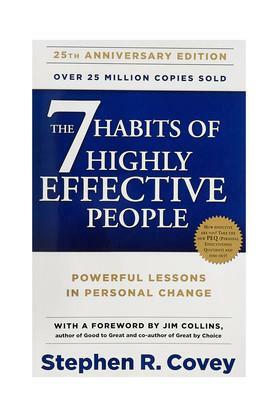 The book is a discussion about the seven most essential habits that every individual must adopt to in order to live a life which is more fulfilling.Content of the book:The author continues to take the readers through the journey of character development. He elaborates how the development of the character of a being ranges from the time of his birth to the years until he grows independent. The first three habits demark the development one goes from dependence to independence. The next three habits describe in detail about interdependence while the final seventh habit deals with the new self, that is renewal. The book is highly recommended for people of all ages. It also holds a record of having over 25 million copies sold in about as many as 40 languages all over the world.About the Author:Stephen R Covey, the author of the book, is known to hold an MBA from the Harvard University. In his previous years of schooling, Covey also has studied Religious Education and Business Administration. It was in his doctoral thesis that Covey came across a contrast in the literature regarding self-help. His observations marked that the books post 1920's focused highly on personality traits while the ones before that focused on character development. That is when the author put forth his belief about how a balance between the two is more essential than the two in isolation. You can bag this book from Amazon.in today by following a few easy steps. Stephen R. Covey's educational qualifications include B.S in Business Administration from the University of Utah, Doctorate of Religious Education from Brigham Young University and MBA from Harvard University. He is a self-help author and a speaker. 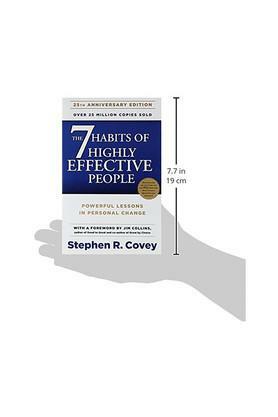 Some of Stephen's other books are Spiritual Roots of Human Relations, Principle Centered Leadership and The 8th Habit: From Effectiveness to Greatness. Stephen has bagged numerous awards like the Golden Gavel Award, The Sikhs 1998 International Man of Peace Award and the International Entrepreneur of the Year Award.